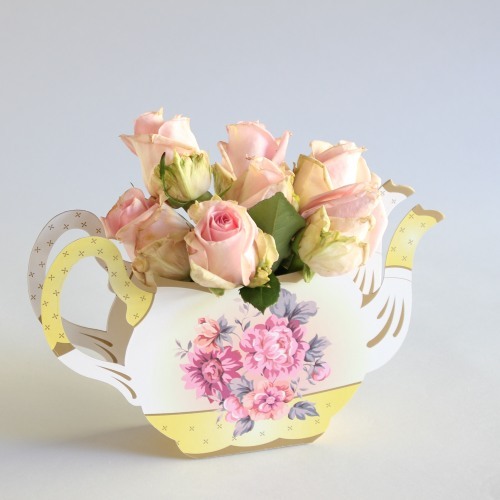 This teapot vase makes the perfect centerpiece for any tea party! Whether you're celebrating a birthday, bridal shower, or baby shower, this teapot vase is a makes a pretty centerpiece of guests to enjoy. Each pop up teapot vase contains a central plastic container to fill with water. Stand your teapot upright, fill the plastic container, add your favorite flowers, and you're all set!